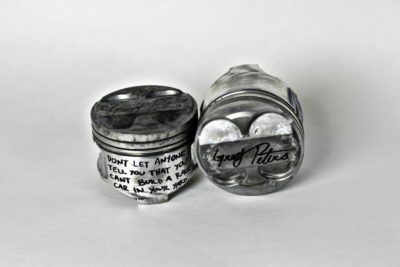 These pieces contain a motivational quote and my signature to certify authenticity. Meant for display purposes only. 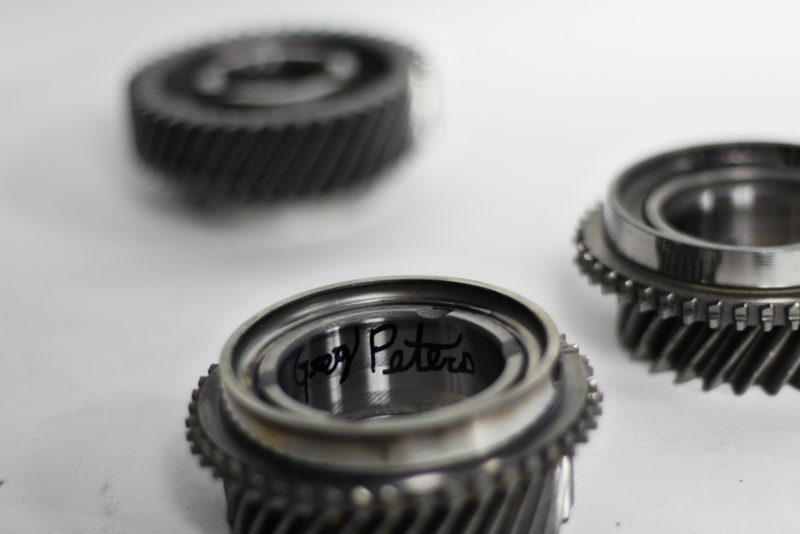 If you use them inside a transmission, there is no warranty, LOL. Seriously though, don't. Each part has unique, wise (questionable) words of wisdom that you may follow at your own risk. All proceeds go to helping fund my new drivetrain so I can finally turn the boost back up race TJ Hunt's BRZ. Synchro Rings (Out Of Stock Forever) – Brilliant shimmering brass color. Great for making into key chains or displaying in trophy cases. $25 donation to the build. This INCLUDES shipping, even international. 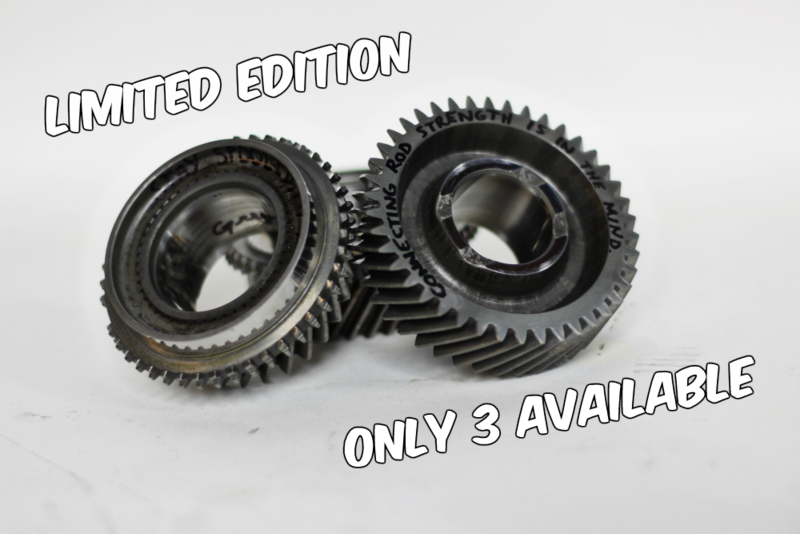 Full Gears (Out Of Stock Forever) – All tested at over 400HP. They make great paperweights for the office or could also be used as rear ballast weight in the trunk for adding traction at the drag strip. $50 donation to the build. 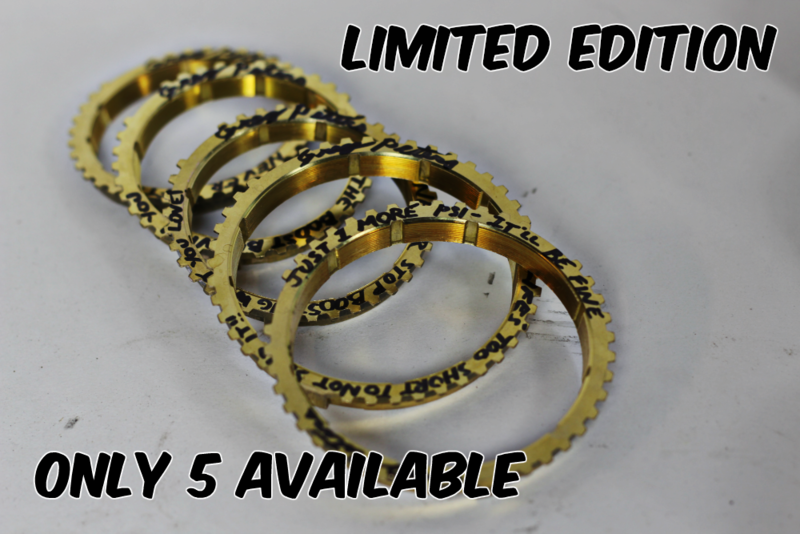 This INCLUDES shipping, lower 48 states only. Pistons (Out Of Stock Forever) – These are the pistons that originally came inside of my VVT engine. 10:1 compression means they don't take no for an answer. $40 donation to the build. This INCLUDES shipping, lower 48 states only. Connecting Rods (Out Of Stock Forever) – These are the connecting rods that originally came inside of my VVT engine. They were removed for their own safety, and are grateful to be alive. $35 donation to the build. This INCLUDES shipping, lower 48 states only. 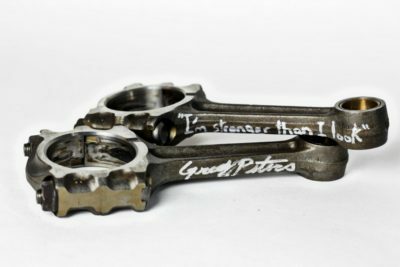 Your rare chance to own a unique piece of Car Passion history.